Symrise is one of the world's most successful manufacturers of fragrances, flavors and cosmetic ingredients. You may be surprised to learn that people interact with their products on average 20-30 times per day. From the minty freshness in your toothpaste, to the spark of special scent that makes your favorite perfume irresistible. Whether it’s in the food you eat, the beverages you drink, or the treats you give to your pet the company’s footprint reaches wider than you may have thought. The language of smell, touch and taste seems to lend itself perfectly to neuromarketing. Corey Yeo, Consumer & Marketing Insights Director at Symrise Scent & Care, Asia Pacific, shares his insights. What is your interest in neuromarketing? Symrise sees Neuro as a very integral part of our innovation strategy. We are the first mover in the industry to apply Neuromarketing. This fits perfectly in an area where consumers cannot articulate the language of smell, touch and taste in the way the professional could understand and thus has helped us to create better and preferred products for the market. This has resulted in Symrise building a specialised team and placing investment in digital transformation to maintain our lead in this area. What would be your advice for companies that want to start using Neuro? When you consider using Neuro for the first time, ensure that you use Neuro as a long-term investment rather than just a new toy. Many claims are made in this field and my doubts are that how many companies who offer, and that are using Neuromarketing and its services, really understood the subject and the potential to fully give due diligence to the field to ensure quality. What were you planning to gain from attending the NMWF and did you succeed? I attended the conference to get the latest updates in the field and to see if there is any innovation in the area. In future conferences it would be great to see more different approaches apart from use in advertising subjects - where the majority of the presentations was focused on - and more in-depth insights, as was the case in past conference programs. 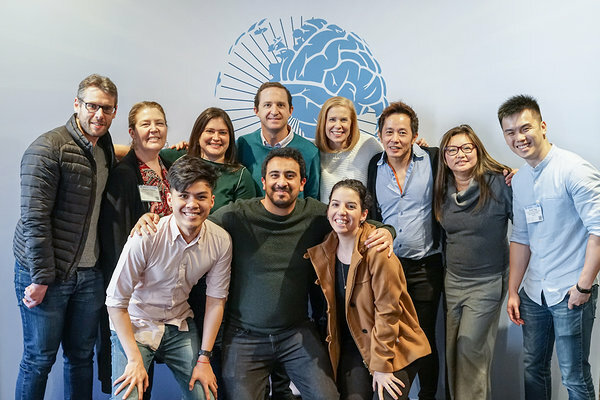 Corey Yeo (6th from the left - upper row) and his colleagues at the Neuromarketing World Forum in Rome.